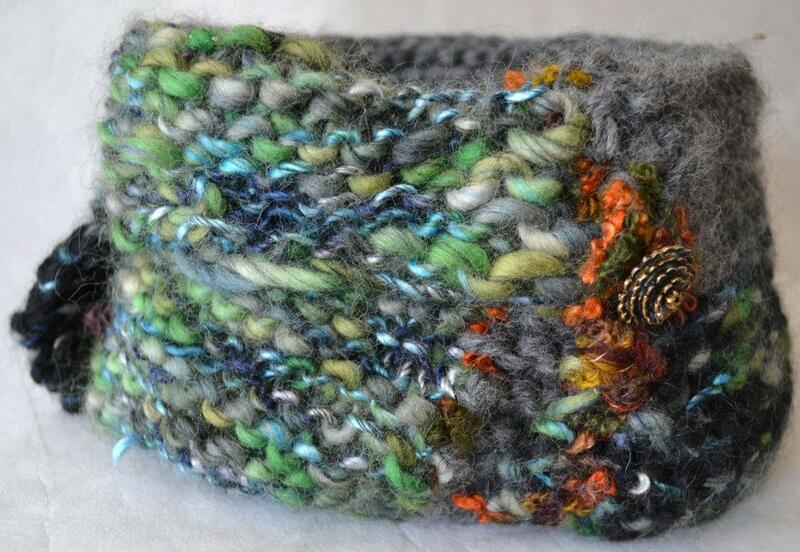 this is another piece of free form knitting that i made. every one has a story, so here's the one about wendy, which is the name of this piece. first of all, wendy is a real person. to me, she is a rare jewel, a touch stone, a pillar, a kindred spirit sister of my heart and soul. everyone loves wendy...she is one of those people who makes you feel that you truly matter, that you are important, that you are loved. and in that moment of sharing time with wendy, she makes you feel like you are the most special, valued, precious person on earth. wendy and i share a herstory that spans a couple of decades at least. she has been one of my mentors in all things writing and art and she has encouraged me every step of the way. she loves to wear hats so i set out to make one...i love the green yarn shown in the image above and had hoped i would have enough...and as it turned out, i didn't. which was okay because i just started to add on and use yarns from my collection and then i found the most wonderful button and voila...a gorgeous creation for wendy to keep her neck nice and warm during long wintry walks with her two dogs. I love this! The colours....the style....so much "Pat" in it! What do I need to do to acquire something like that for myself?! !